As a Catholic, I was led to believe that Catholicism was the only true religion and that Judaism was only a preparation for Christianity. Hence, the other religions were all false. In fact, I only heard about Islam for the first time in 1978. 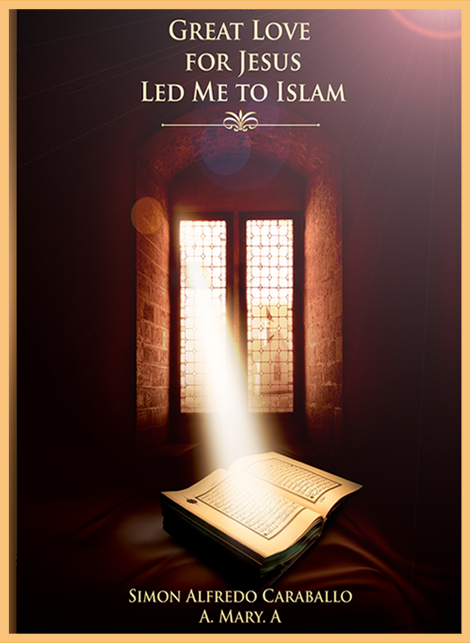 I had learned that Muslims believed in the divine origin of Christianity and Judaism.The Qur'an indicates that Allah (the proper name of God in the Arabic language) had sent prophets to every land in order to guide people to the path of truth and righteousness. In order to carve the Christian message into the depths of my subconscious, the Catholic Church designed a program which, when applied from childhood, had a very high probability of retention. This program affected people's beliefs and their behavior for the rest of their lives. In this scheme the central figure is Jesus, and the rites are mostly related to events surrounding his birth, supposed death and resurrection; from his birth, assumed to be in December, to his alleged crucifixion on Easter. These religious rites were introduced by human beings many centuries after Jesus' departure rather than by divine revelation.